You must be 19 years or older to buy or consume cannabis in Manitoba. retail cannabis stores holding age-restricted licences must not permit young person to enter the store. 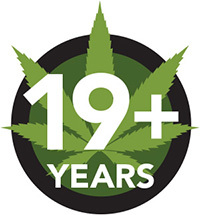 retail cannabis stores holding a controlled-access license may allow young persons to enter the store, but cannabis must be not be visible or accessible. regulations under The Safe and Responsible Retailing of Cannabis Act will set out the types of identification required to verify age. Fines will mirror those currently in place for youth possession and consumption of alcohol. The current fine for youth found in possession of liquor is $672. Please see Cannabis and youth for more information on cannabis and its effects on youth.